King Edward has no heir and promises never to produce one. There are no obvious successors available to replace him, but quite a few claimants are eager to take the crown. While power struggles break out between the various factions at court, enemies abroad plot to make England their own. There are raids across the borders with Wales and Scotland. Harold Godwinson, Earl of Wessex, is seen by many as the one man who can bring stability to the kingdom. He has powerful friends and two women who love him, but he has enemies who will stop at nothing to gain power. As 1066 begins, England heads for an uncertain future. It seems even the heavens are against Harold. Intelligent and courageous, can Harold forge his own destiny - or does he have to bow to what fates impose? 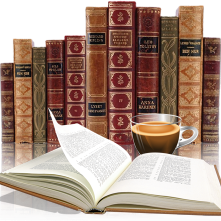 I always enjoy reading in time periods that are unfamiliar to me as well as historical figures I know little about. Such was the case with this book, oh I've heard of William the Conqueror, King Edward and Harold but I knew nothing of their lives and how they got to be kings. 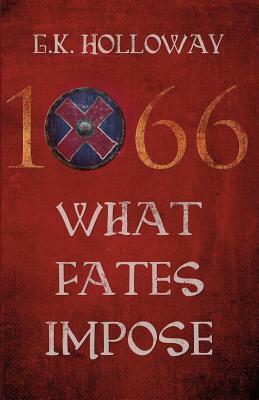 1066:What Fates Impose is a story that can applied to other time period in England's history. It's full of deceit, betrayal, jealousy, love and of course violence, blood relatives are not immune either. Beginning at the death bed of King William, the author takes us back 40 years to the reign of King Edward. It's a couple decades before the Battle of Hastings but the author sets the stage for that scene. It didn't take me long to get absorbed in the story. Though there is a fair sized case of characters here, as the story lines entwine things flowed nicely. Centered mostly around Harold Godwinson it wasn't hard to connect and side with him, to watch his jounrey to the crown was interesting. Especially with not just his family but King Edward as well. But the harder part was keeping that crown, which takes us to the Battle of Hastings. A pivotal part of British history. The writers pose really did bring this story to life, it wasn't hard to visual the life style and customs of the times. The battle scenes were rather brutal, but it was a brutal time. A lot of research went into this piece and you could feel the authors passion for the time period. Definitely one that I would recommend. Thank you to the author for providing a copy to review, in no way did this influence this review.